A Spa la pioggia è grande protagonista; dopo le prove sull' asciutto Hakkinen e Coulthard sono in prima fila con le Mclaren, seguiti da Hill (Jordan) e Schumacher (Ferrari). Al via, sotto la pioggia, un mega incidente coinvolge metà schieramento: gara sospesa e nuova partenza. 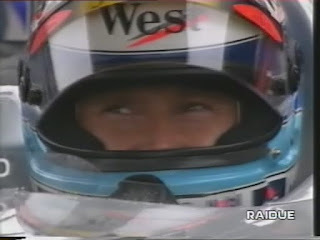 Al secondo via le due Mclaren partono male, Herbert (Sauber) si scontra con Hakkinen che si ritira; dopo la Safety Car, Schumacher supera Hill e se ne va. Il dominio del tedesco s' interrompe nel doppiaggio di Coulthard: lo scozzese rallenta di colpo e viene tamponato dalla Ferrari, con rissa sfiorata ai box. 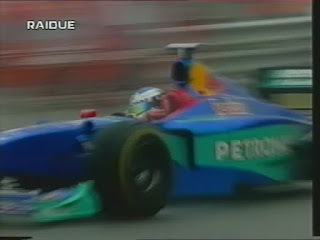 Continui colpi di scena riducono a 7 i piloti al traguardo: vince Hill davanti al compagno Ralf Schumacher, 3° Alesi (Sauber) e 4° Frentzen (Williams). Qualità buona, commento in italiano. At Spa-Francorchamps, the rain is the great protagonist, and after tests on 'dry Hakkinen and Coulthard are in the front row with McLaren, followed by Hill (Jordan) and Schumacher (Ferrari). At the start, the rain, a mega-half incident involving deployment: race suspension and a fresh start. 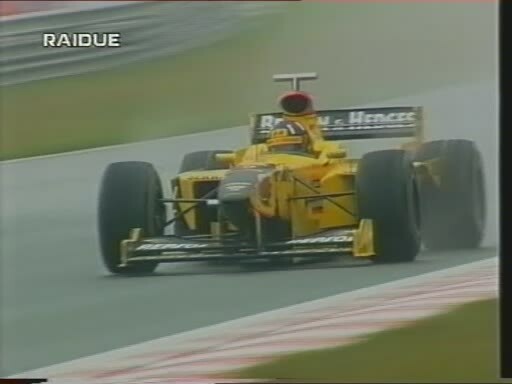 At the second start the two Mclaren bad start, Herbert (Sauber) collides with Hakkinen who retires, after the safety car, Schumacher and Hill than it is. 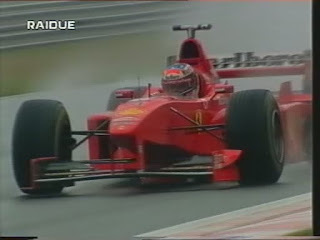 The domain of German's' stop the dubbing of Coulthard: Scot suddenly slows down and is buffered by Ferrari, with riot touched the pits. Continuous twists reduced to 7 riders at the finish: Hill wins ahead of his Ralf Schumacher, Alesi 3 ° (Sauber) and 4 ° Frentzen (Williams). Quality good, commentary in Italian. 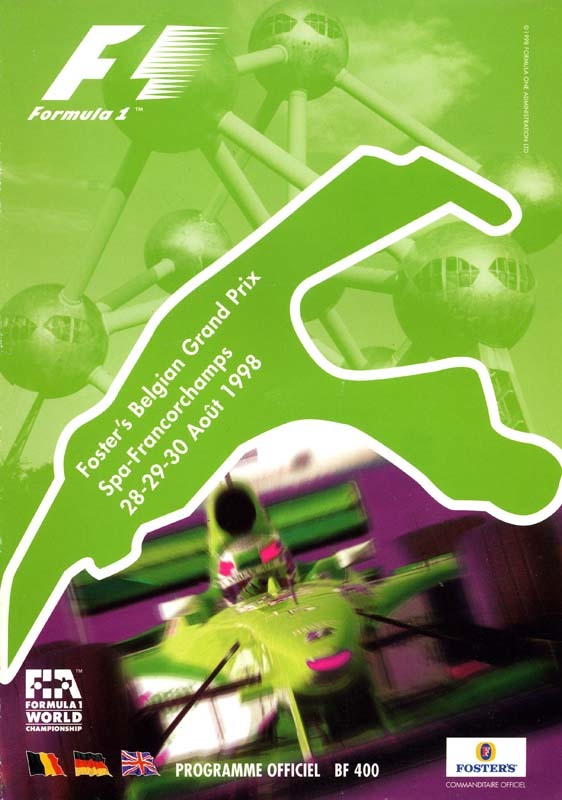 В Spa-Francorchamps, дождь великого героя, и после испытаний на «сухой Хаккинен и Култхард в первом ряду с McLaren, а затем Хилл (Иордания) и Шумахер (Ferrari). В начале, дождь, мега-1/2 инцидента развертывания гонки подвески и начать новую жизнь. На втором запуске двух Mclaren плохое начало, Герберт (Sauber) сталкивается с Хаккинен который уходит в отставку, после того, как машина безопасности, Шумахер и Хилл, чем это.Области «немца остановить дублирование Култхард: шотландец вдруг замедляется, и в буфере на Ferrari, с беспорядки затронули ямы. Непрерывное повороты сокращен до 7 гонщиков на финише: Hill выигрывает перед его Ральф Шумахер, Алези 3 ° (Sauber) и 4 ° Френтцен (Williams). Качество хорошее, комментарием на итальянском языке.